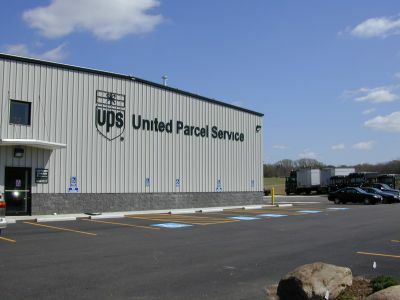 United Parcel Service does not construct a typical building with simply four walls and a roof, but instead many doors and a roof. A continual flow of human and vehicular traffic presents real challenges for proper air-quality management in heating and ventilating typical UPS distribution facilities. For a new distribution center in Franklin Park, IL, AbsolutAire provided customized microprocessor controls for three high-capacity R-Series “M” option models. These OA/RA systems can be operated in either a 100% outside-air mode or with different blends of outside and return air. A special exhaust cycle was added to the units by converting the supply fan to an exhaust fan for accelerating the evacuation of delivery truck fumes during times of heavy traffic. Also, as an energy-saving measure, the controls drop building pressurization when numerous entry-exit doors are left open.